That's Cool, That's Trash! : New episode & we boldly step into the '90s! Our LADY TERMINATOR episode is now available on iTunes and Libsyn. We were joined by old friend and other Scott, Scott E. Please download and enjoy, and as always, spread the word and leave a review. It would be very much appreciated! 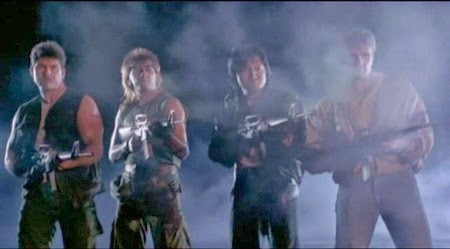 "If you have a problem, if no one else can help, and if you can find them, maybe you can hire the Z-Team." For our next assignment, we are headed into new territory: the 1990s. We'll be watching the Andy Sidaris film ENEMY GOLD. I feel confident in saying this is NSFW. VIDEO LINK REPAIRED. Thanks for the heads-up, listeners!